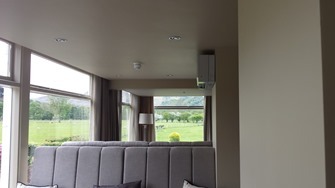 In November and December 2015 The Grand at Grasmere, Cumbria in the Lake District carried out a complete refurbishment of the ground floor of the hotel and Allcool (NW) Limited were appointed to supply and install the air conditioning equipment to the dining room. 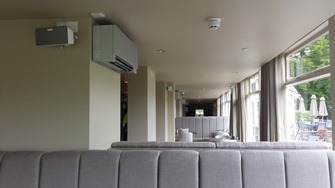 We installed a VRF system connected to 7 Mitsubishi Zen wall mounted units in silver linked to an AE200 touch screen controller for future expansion. It was necessary for Allcool to carefully plan and execute the work to ensure the project was completed in good time for the Hotel re-opening for the festive season. 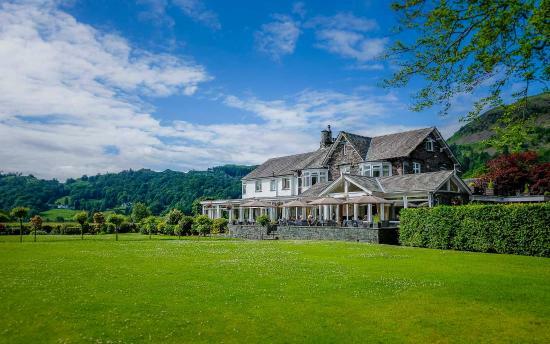 A stunning Lake District country house hotel in Grasmere with a unique bar & restaurant. Ideally located within its own gardens between Grasmere lake & Grasmere village with stunning views over the surrounding fells and the lake.